This will literally mean giving the world to the one you love. 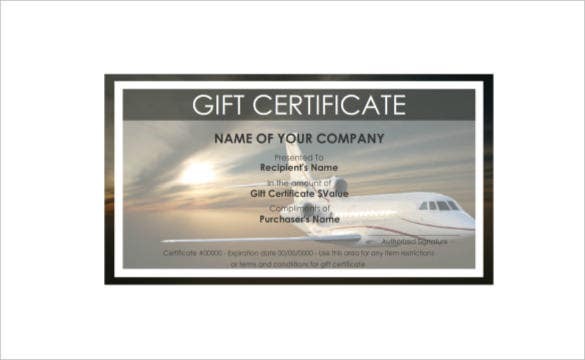 Many airlines have these programs where one can purchase a gift certificate for another to be used for various purposes involving travel. There is no more perfect gift for a special day. These range between $25 to $ 10,000 and can be used for so many things from tickets to inflight expenses and hotel. 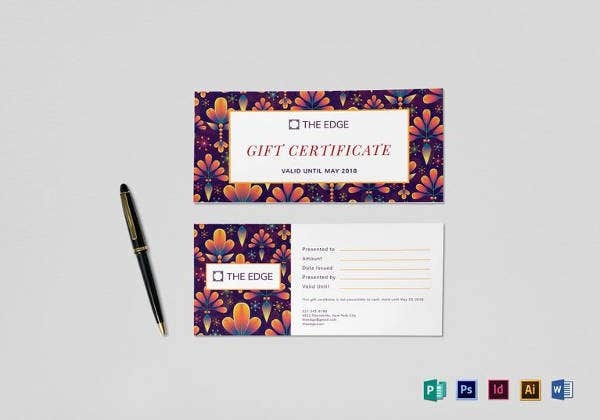 You may also like Ticketmaster Gift Certificate Templates When you buy travel gift certificates, the recipient will receive an email personalized to them with the gift details in Word, PSD or PDF formats. 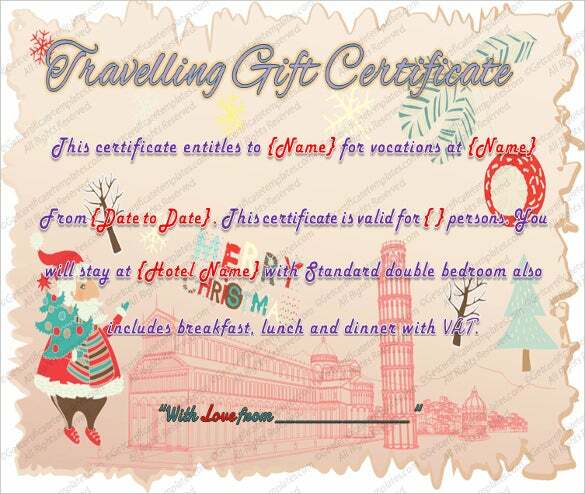 Therein will be information on how to redeem the gift for whatever is available from airfare to anything they would desire. 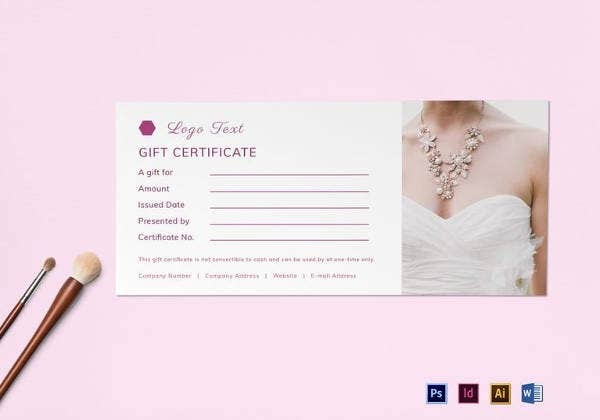 You may also Like Gift Certificate Templates. 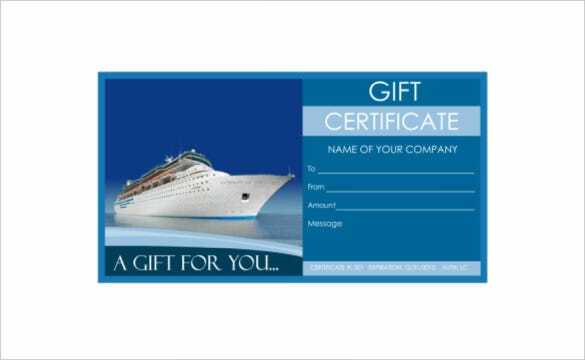 giftcarddesigner.com | This gift certificate template is designed especially for cruises. Available in PDF format, this sample has a good design and layout. It features a image of the cruise on the left, to strike an instant relevance. Easily downloadable and editable, you can customize the artwork and text according to your preferences. 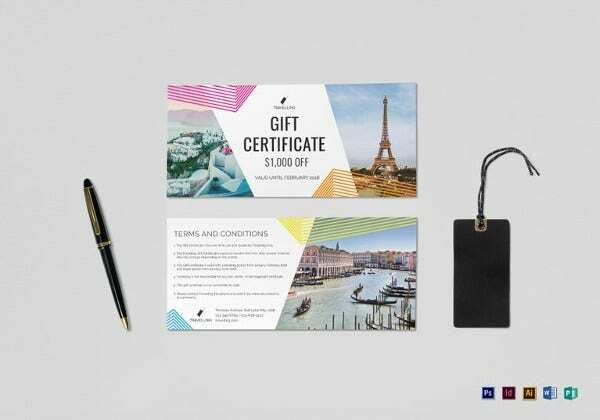 A smart blue background, with an image of a happy couple on their way to a trip should be enough to motivate your customers to purchase this certificate. You can add your travel agency’s name and the official website below. Separate fields have been created for important information which thankfully is not provided in a haphazard manner. 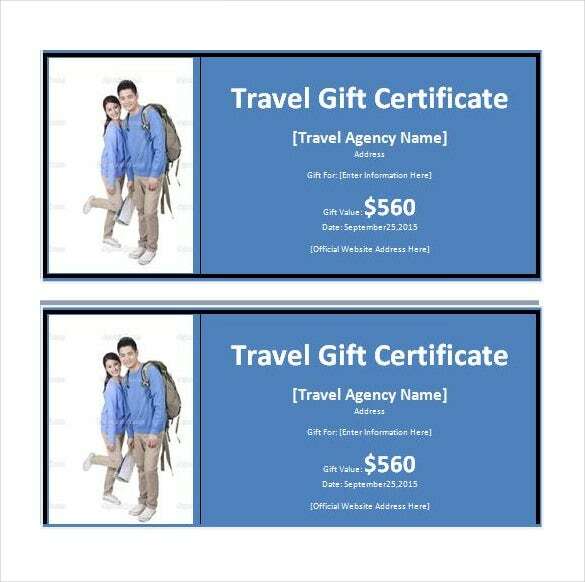 giftcarddesigner.com | You can download this travel gift certificate free of cost in a PDF format to make use of it. True to its name, it has an image of a plane in the background. All you have to do is include the recipient’s name, the value of the certificate, the purchaser’s name and other required information. This template, which is in a PSD format, has a very formal and official tone. The image of a flight taking off is sure to be appreciated by the recipient. 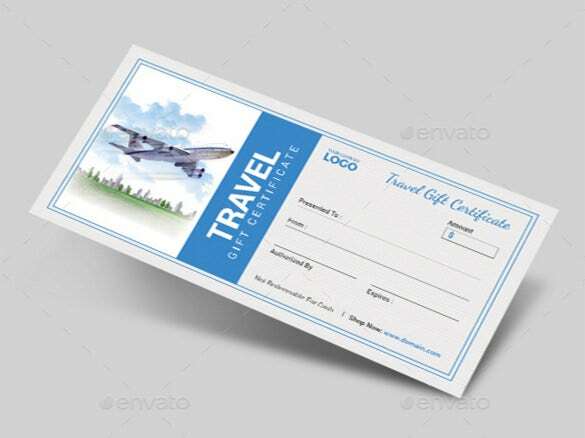 The travel certificate, which almost looks like a cheque, contains blank spaces for recipient, your logo, amount, contact details and authorization. One look at this template is sure to make you feel like packing your bags and leaving for your dream trip. The design has been kept extremely simple and minimalistic, which is what appeals to customers. Three blanks, “to”, “from” and “amount” have been kept for you to fill up. 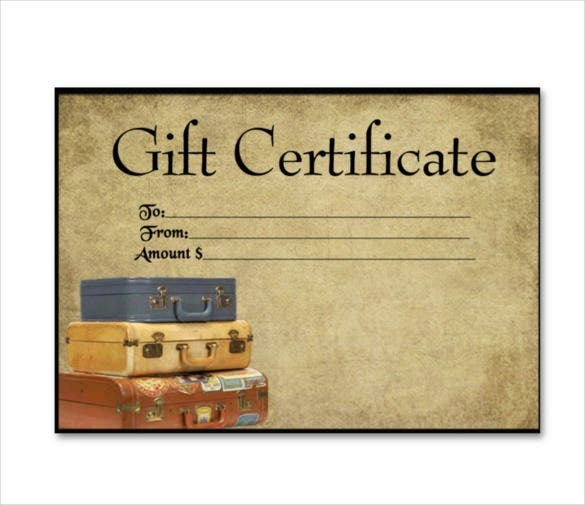 This template would be ideal if you’re gifting someone a travel gift certificate for their winter vacations. The template is colorful, reflecting the Christmas spirit. It certifies that the holder is to stay at the hotel of your choice in a luxurious room with all the different kinds of amenities at their disposal.